Dasuya (Dasua) is a town and a municipal council in Hoshiarpur district in the state of Punjab, India. According to a report by The Tribune newspaper in 1977, the town is referred to in the ancient Indian epic, the Mahabharata, as being the seat of king Virata. In recognition of this, Dasuya is still referred to as Virat Ki Nagri today. In the closing decade of the fourteenth century, Dasuya at least twice witnessed the passage of an army during the struggle against the Muslim conquerors, Abu Bakar and Amir Taimur. Later, in December 1557, the army of the incumbent Sultan Akbar, led by his governor of Lahore, Khizr Khan, camped at the town while dealing successfully with a threat posed by Sikandar Sur. More recently, Dasuya featured in debates related to the emergence of Himachal Pradesh. Verma has noted that, "Perhaps no other State of India has suffered as many territorial and political changes in recent times as the Punjab". Within the process of the linguistic reorganisation of states, the claim that Dasuya should be incorporated into Himachal Pradesh on the grounds that it was the home of Dogras was rejected because that point was irrelevant to the linguistic issue. 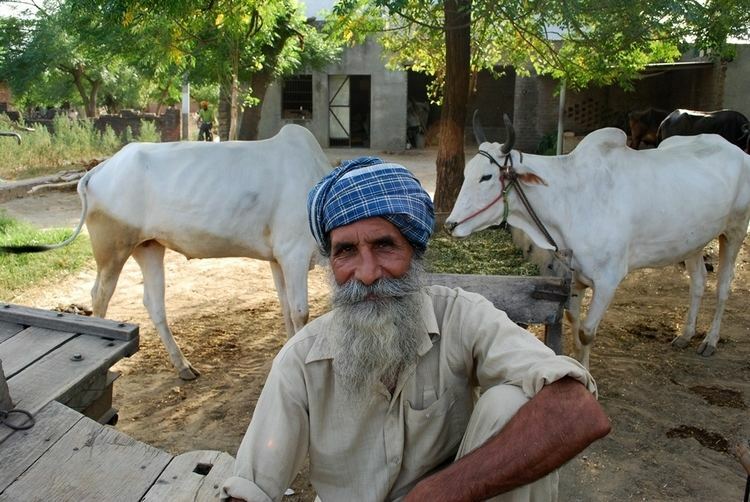 Dasuya remained in the Punjab when the negotiations culminated in the Punjab Reorganisation Act of 1966. In 1985 the town witnessed the start of a burst of Sikh separatist activity. This followed the murder of Indira Gandhi by two of her Sikh bodyguards in October 1984, and saw a "shoot out" at Dasuya in January of the following year. The provisional statistics for the 2001 census of India show that Dasuya had a population of 20,118. Males constituted 52% of the population and females 48%. The average literacy rate was 76%, which was higher than the national average of 59.5%. Male literacy was 79% and female literacy was 73%. Of the total population, 11% was under 6 years of age. The caste breakdown is: 35,000 Scheduled Castes, 29,000 Rajputs, 25,000 Changs, 19,000 Jat Sikhs, 17,000 Brahmins, 17,000 Lubanas, 8,500 Ramgarhias and 10,000 from other communities. Dasuya is located in Hoshiarpur district of Punjab state in India. at 31.82°N 75.66°E﻿ / 31.82; 75.66. It has an average elevation of 239 metres (784 ft) from sea level. Of the major neighbouring population centres, Hoshiarpur lies at a distance of 48 kilometres (30 mi) for Dasuya; Mukerian is 14 kilometres (8.7 mi) away; Jalandhar is 56 kilometres (35 mi); Gurdaspur, 40 kilometres (25 mi); Amritsar, 90 kilometres (56 mi); and Pathankot is 56 kilometres (35 mi) distant. The town has a railway station and various road links. 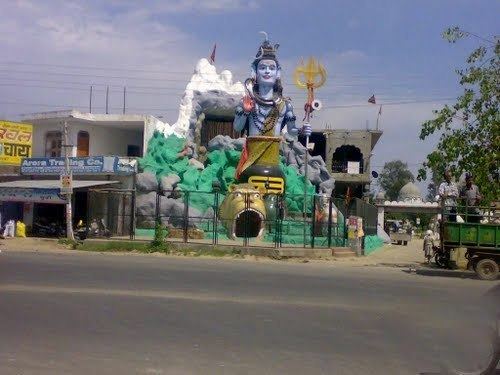 It is located on National Highway 1A, which connects Jammu and Kashmir to the rest of India, and state highways connect it with the city of Hoshiarpur as well as Talwara and Hajipur. Other connecting roads link Dasuya with Amritsar, Daulatpur and Kapurthala. The town is attempting to capitalise on its history in order to attract tourists. To this end, a grant of Rs 10.6 million was given by the Government of India in order to renovate the sarovar and a temple, and it was reported in 2009 that many people attend a historic sarovar and gurdwara situated at nearby Garna Sahib.